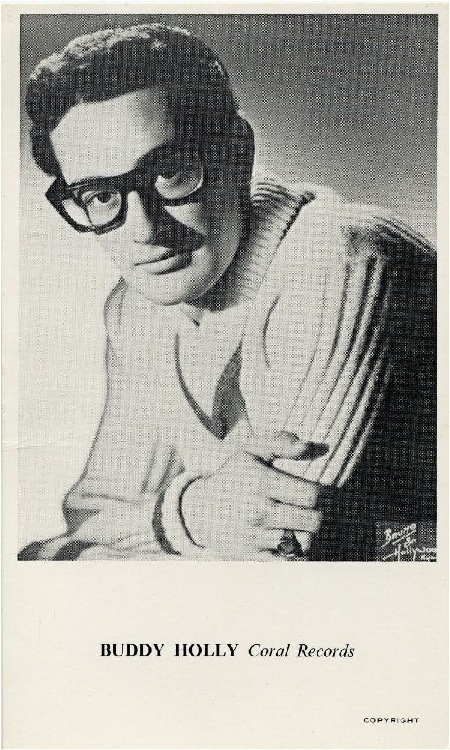 BUDDY HOLLY A Coral Recording Artist, from October 1960, after his death. 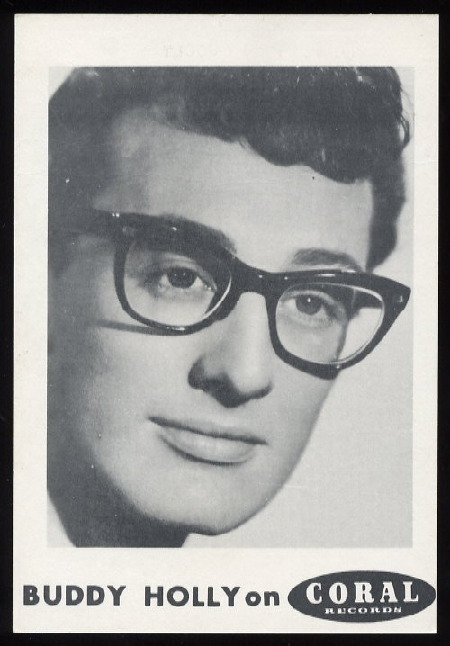 BUDDY HOLLY A Coral Recording Artist, from November 1960, after his death. 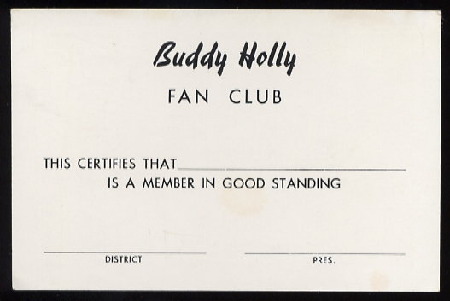 Rear. 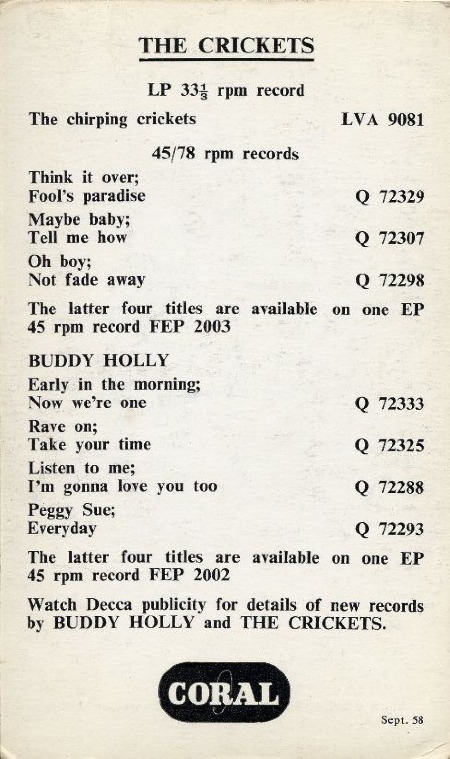 Have a long look. 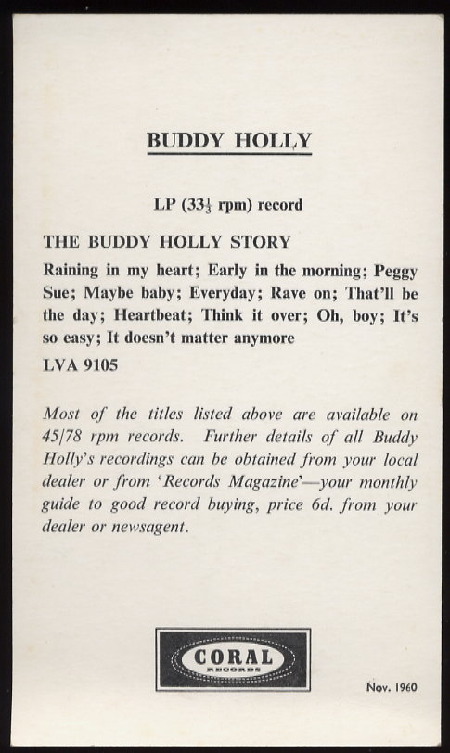 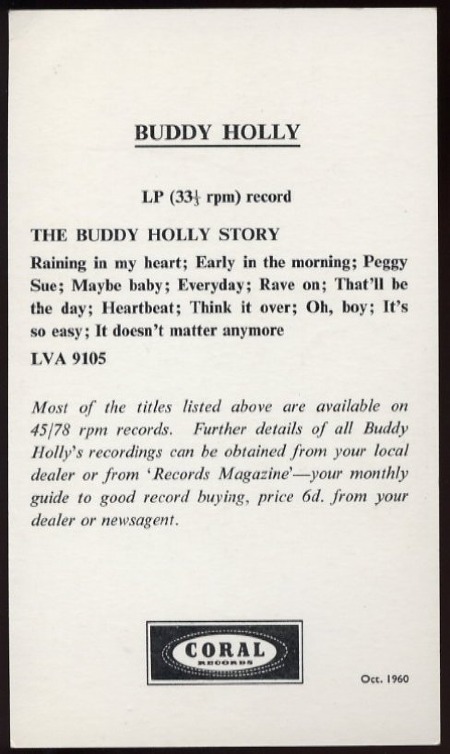 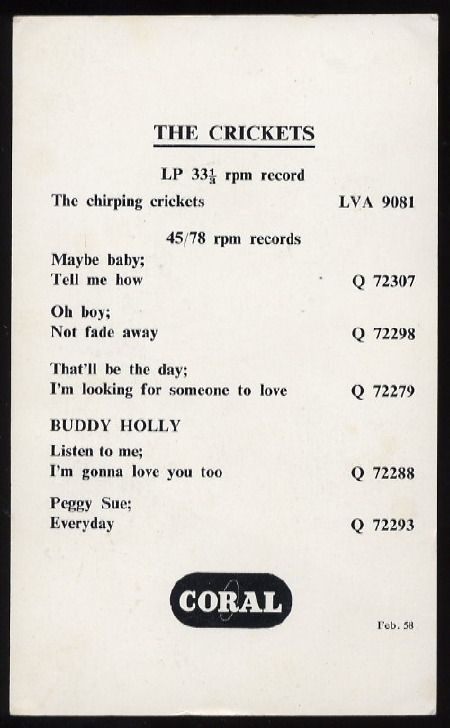 Maybe you investigate an unknown Buddy Holly song on this Canadian promo card. 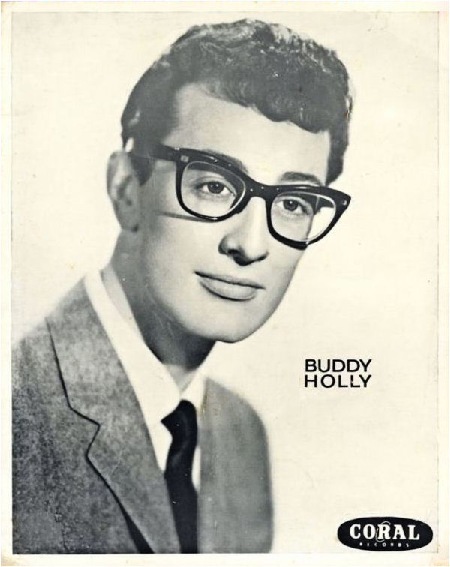 If not, go to BEST ERRORS in the chapter BUDDY HOLLY & THE CRICKETS. 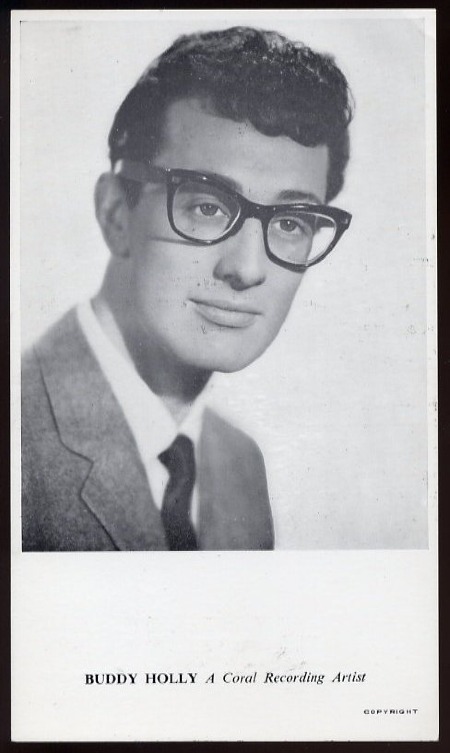 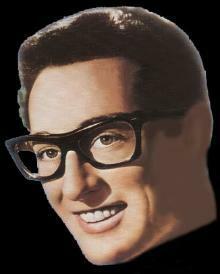 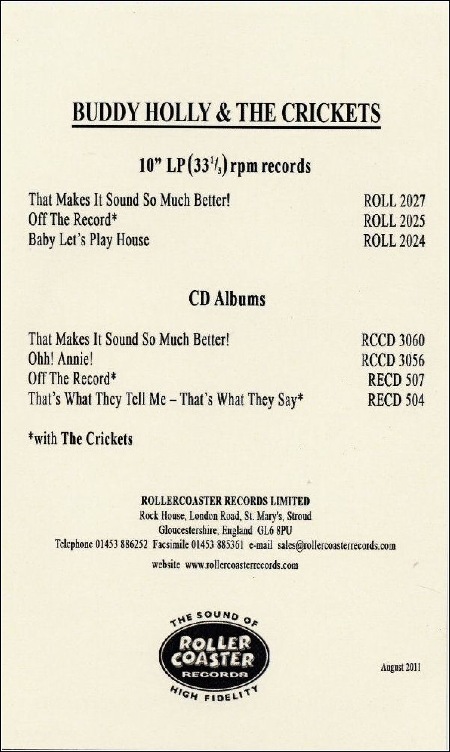 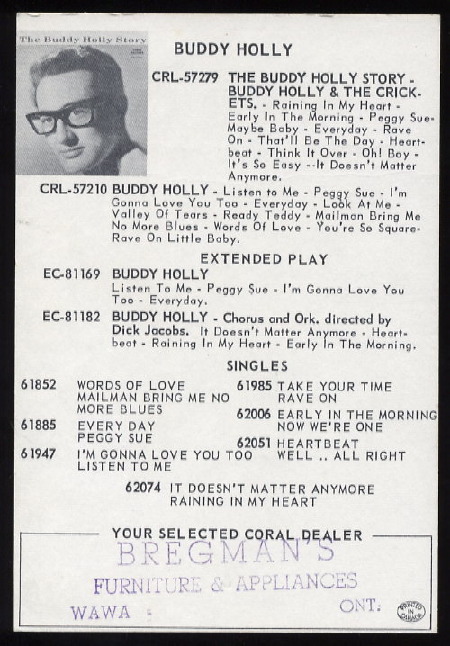 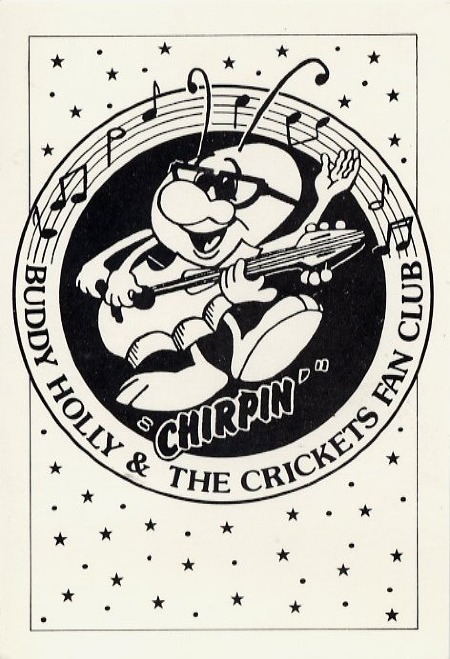 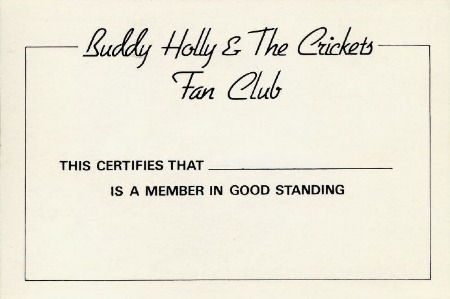 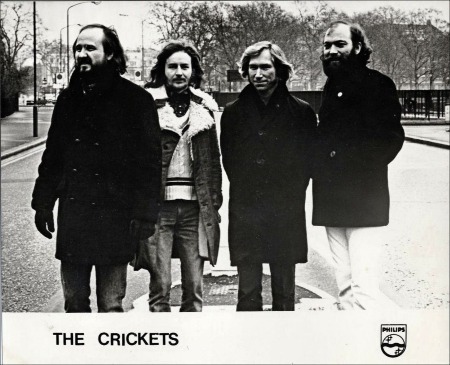 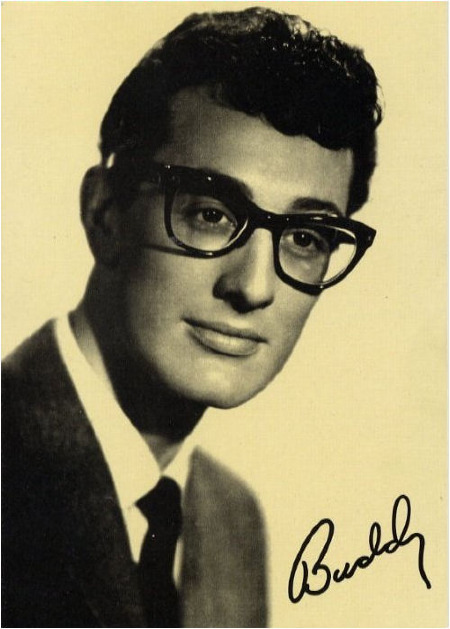 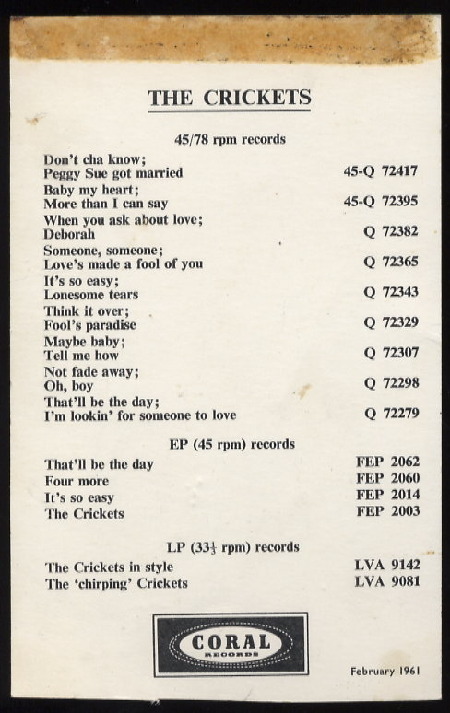 THE CRICKETS Promo Card, 2 years after Buddy Holly's death. 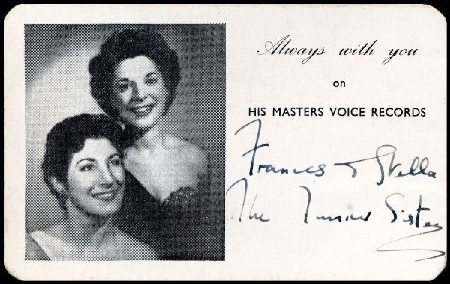 Note: Has Niki Sullivan cropped from this card, he was on the original photo. 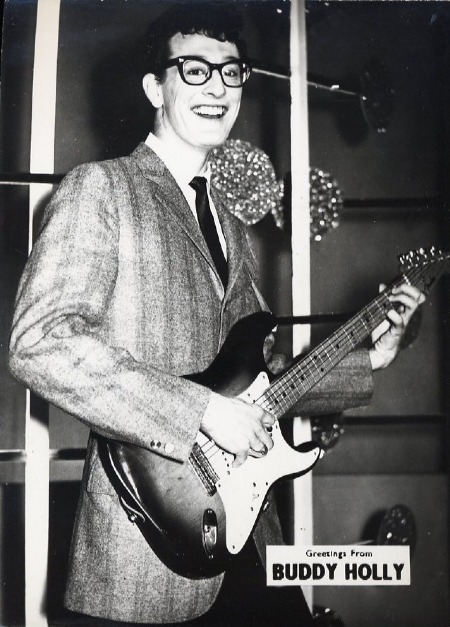 Photo was taken at the BBC studios. 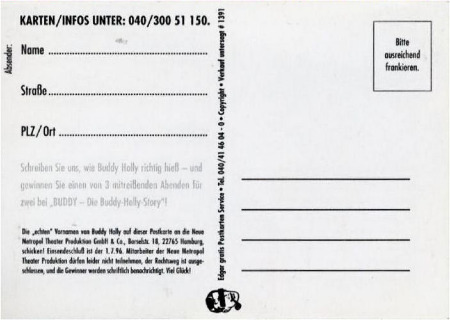 Promo_Karte für das Hamburger Musical BUDDY. 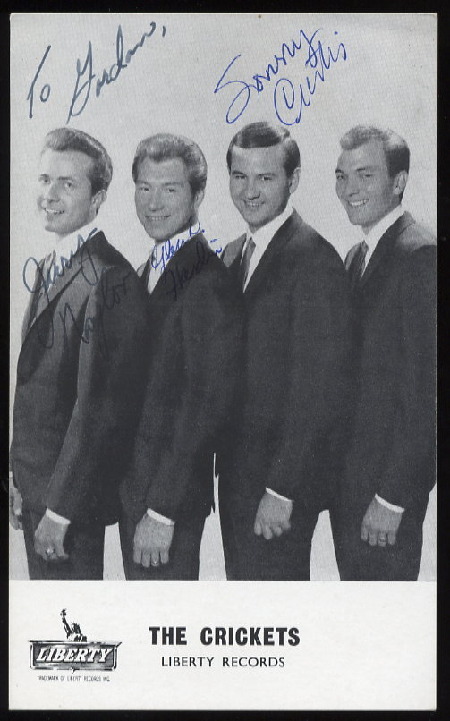 Eine Edgar - Karte aus Deutschland, wie man sieht. 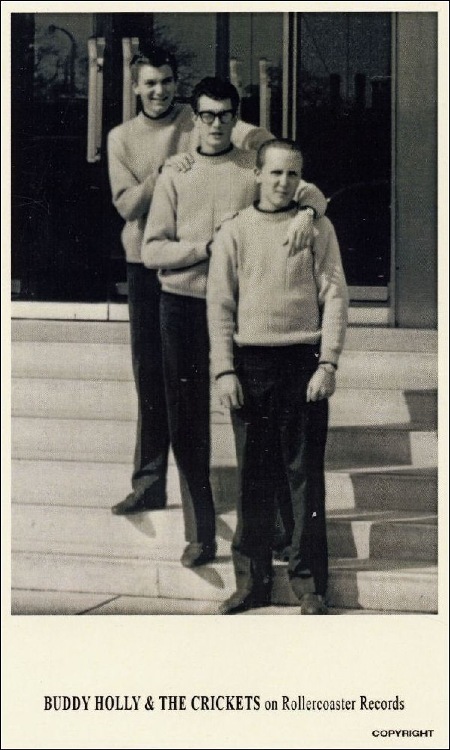 Darauf steht, dass die Karte unverkäuflich ist. 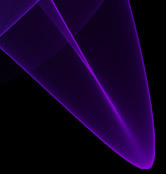 Ist sie nicht. 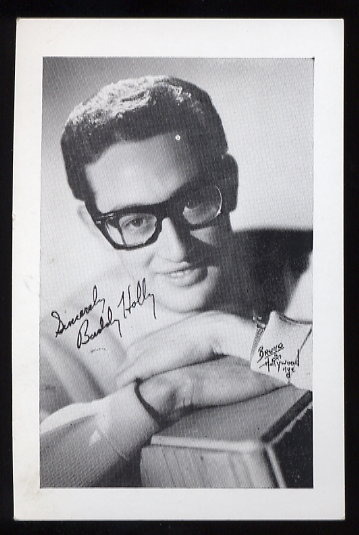 Bei eBay wird alles zu Geld gemacht. 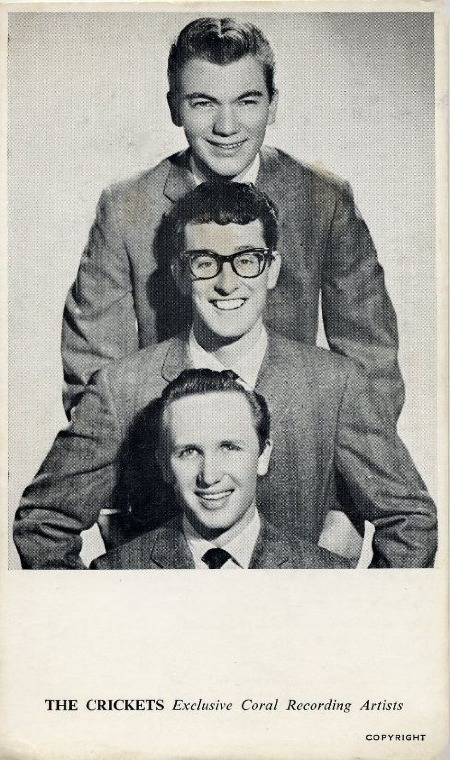 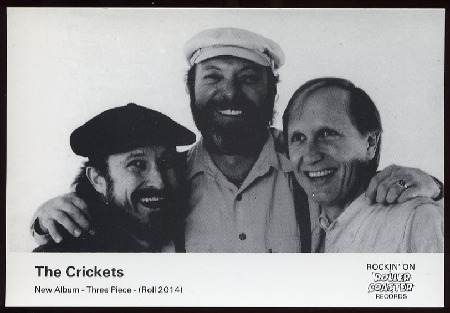 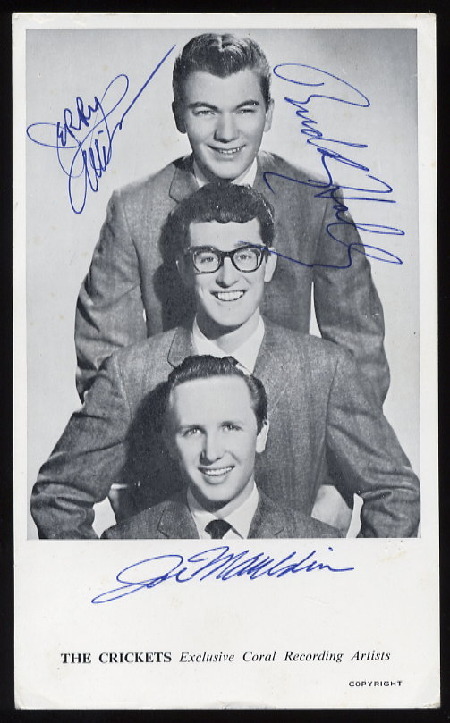 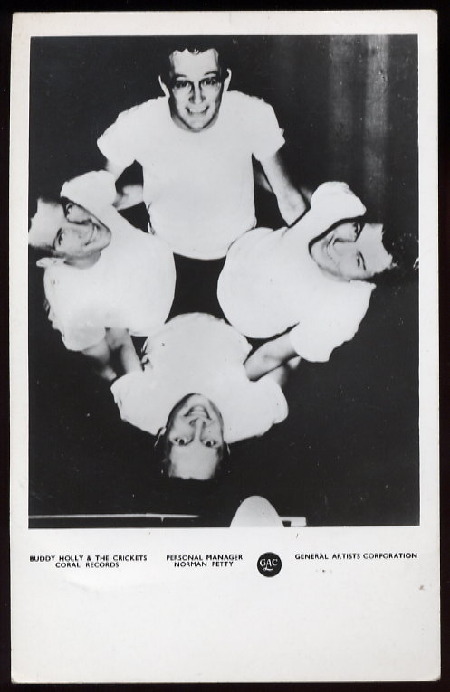 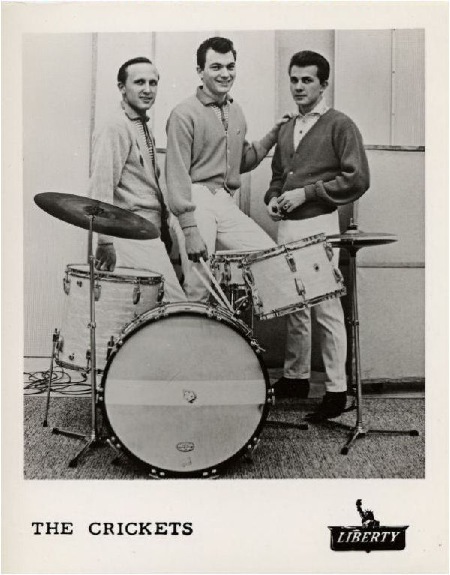 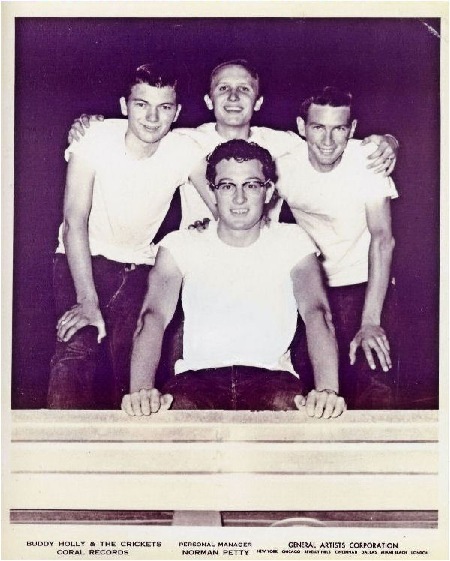 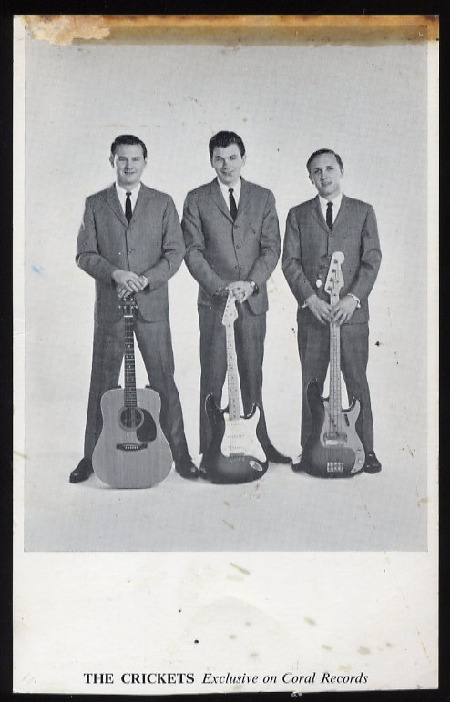 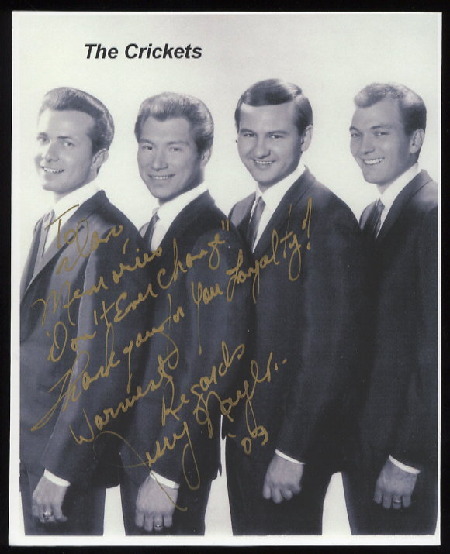 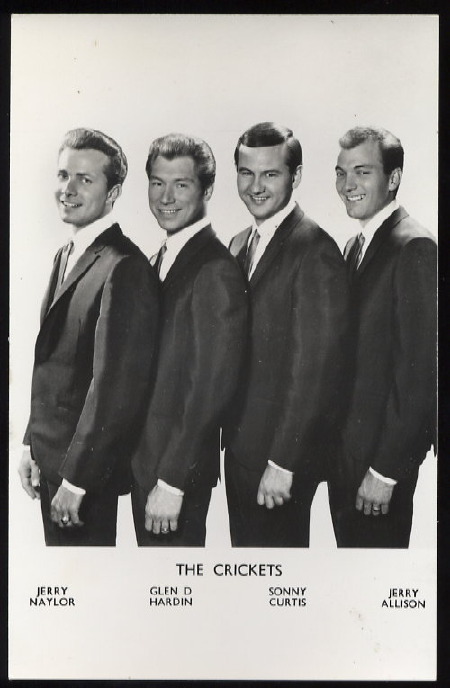 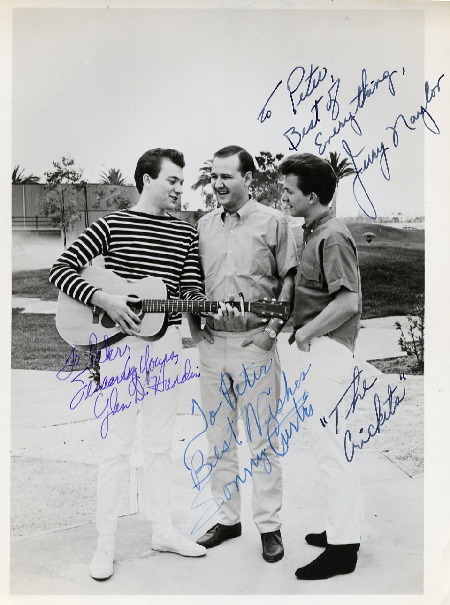 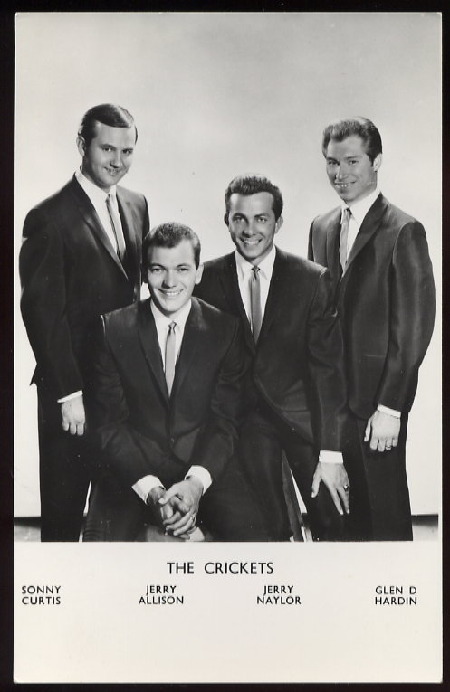 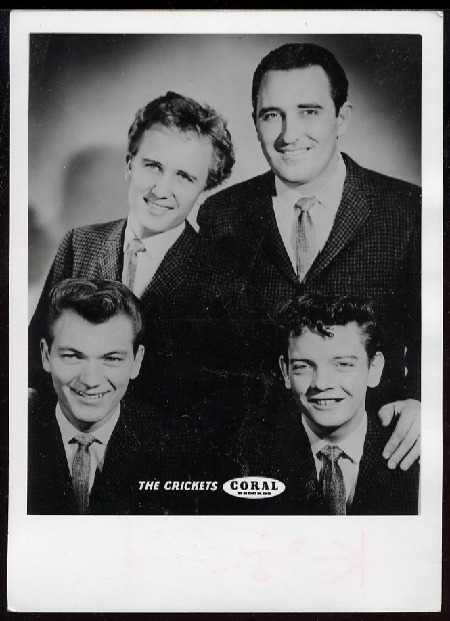 One of the "early" promo cards of THE CRICKETS with Buddy Holly and Niki Sullivan. 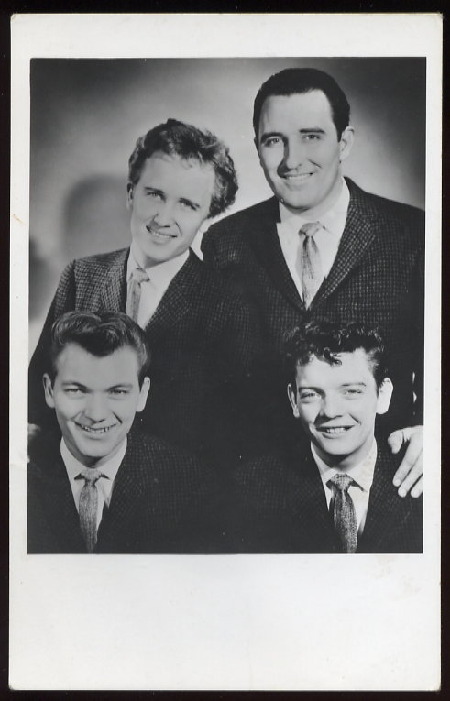 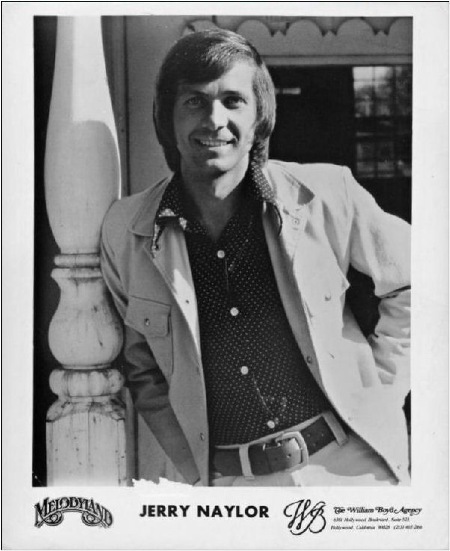 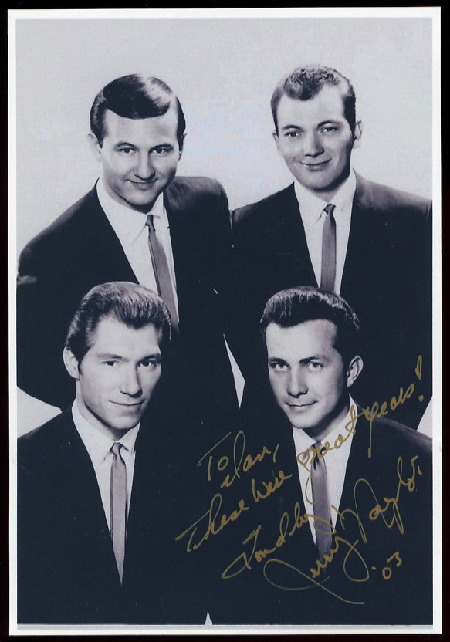 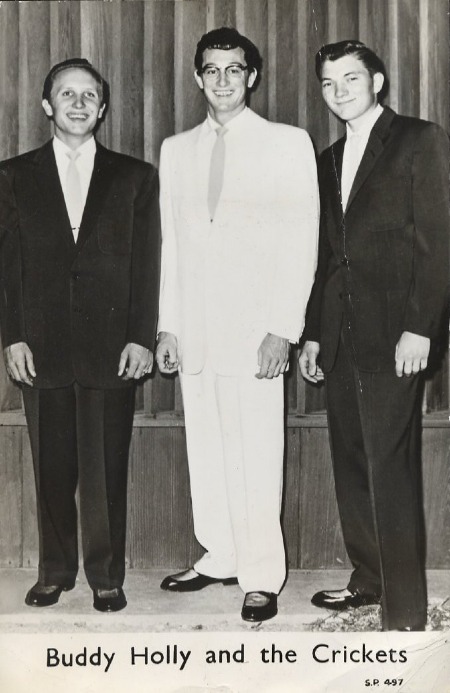 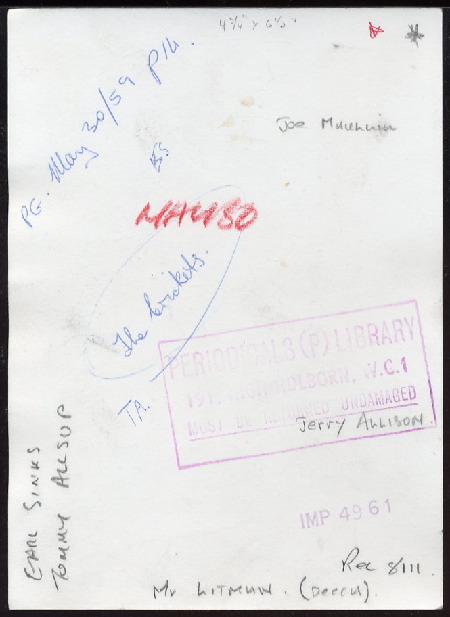 Liberty Promo Card with Joe B. Mauldin, Jerry Allison and new member Jerry Naylor, who was the new lead singer. 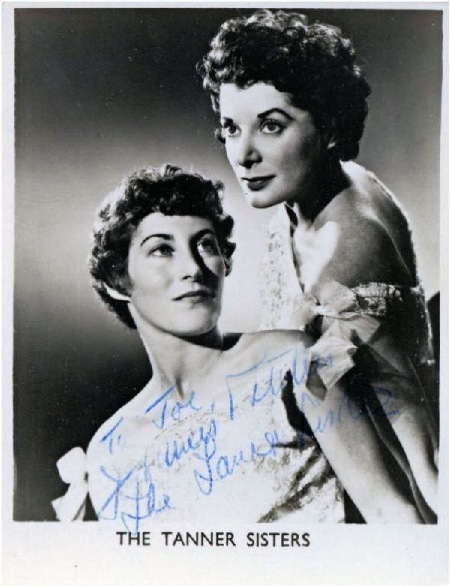 The Tanner Sisters, who accompanied Buddy Holly and the Crickets during the 1958 UK tour.